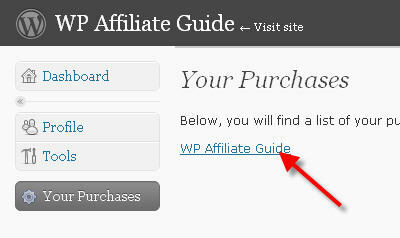 Login into your WPAffiliateGuide.com Dashboard with your username (PayPal email address in lowercase) and password. From the menu on the left side, click on ‘Your Purchases‘. 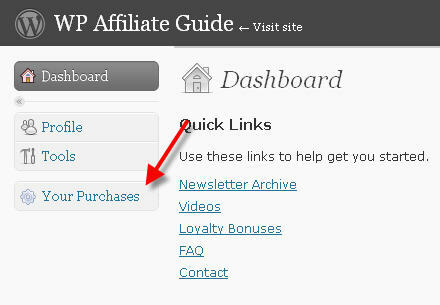 Click on the product name that appears in the list to download it.